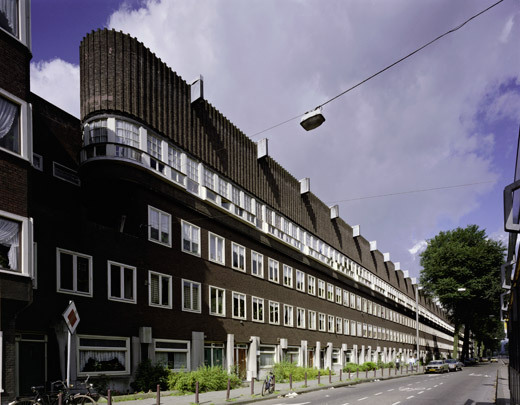 Wijdeveld, who celebrated his 100th birthday in 1985 (also by way of a book entitled 'My First Century'), wholeheartedly supported the Amsterdam School in the columns of his well-groomed periodical Wendingen, especially during the early years. Yet his own work is much more restrained than their often capricious offerings. His design for these two urban elevations in Plan West shows his predilection for grand statements and repeated identical elements.